Former Leinster and Ireland centre Brian O’Driscoll is not impressed with Tadhg Beirne’s actions in Munster’s Champions Cup quarter final win over Edinburgh on Saturday. 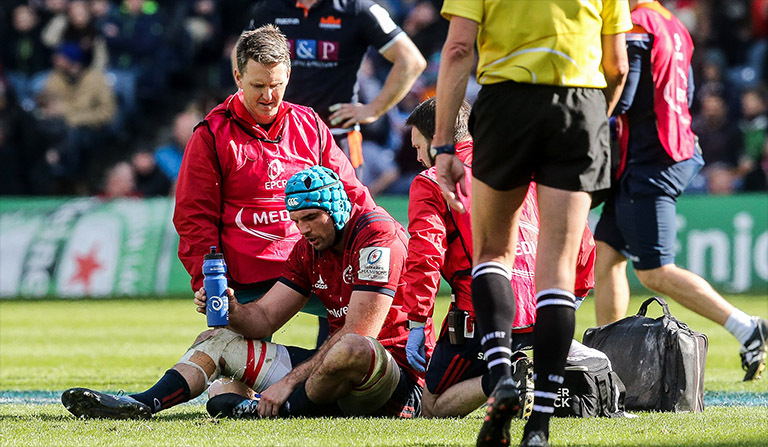 Beirne was on the receiving end of an off the ball hit from Edinburgh prop Pierre Schoeman late in the second-half that resulted in referee Pascal Gauzere reversing a penalty against Munster that gave them field position for Keith Earls’ decisive score. “If he’s your teammate, you go ‘thanks for milking us the penalty’ and if you are looking from outside you go ‘come on, get up’ and in the words of Nigel Owens, ‘this isn’t soccer, lads’,” O’Driscoll said on Monday’s Off The Ball.